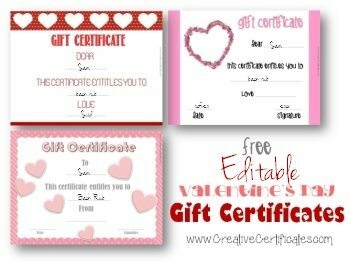 The following free printable gift certificates can be used on Valentine’s Day or anytime during the year to give someone you love a special gift. Each gift certificate can be personalized with our free online gift card maker. These gift certificates are particularly useful when the gift is not tangible or when you do not yet have the gift but will be giving it at a later stage. Perfect for those who forget to buy a Valentine’s Day gift and need a quick lifesaver! If you already have a gift you can still use these gift vouchers to add a little something. Just fill in the details and the gift card is ready! If you already have a gift and you are looking for a greeting card then you might find our Valentine’s Day Certificates and Gift Cards more appropriate. 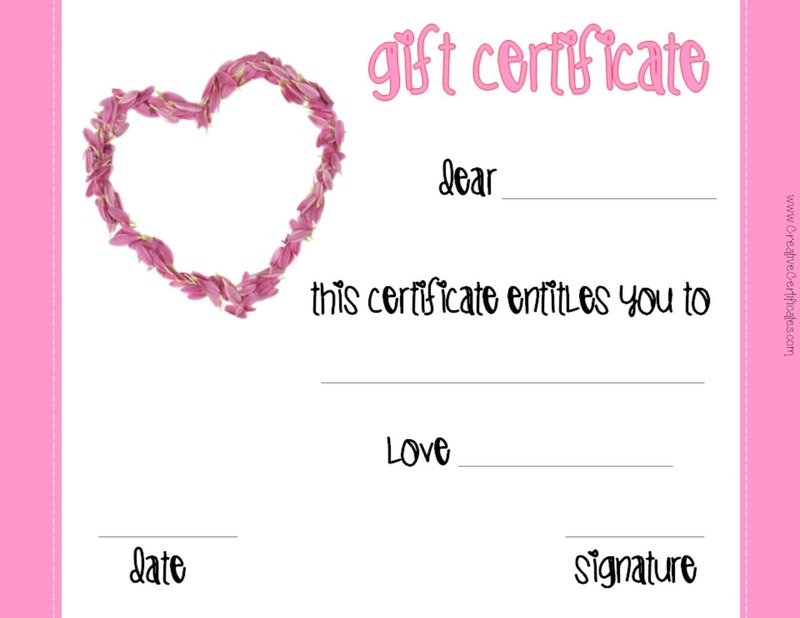 Wording: Gift Certificate – Dear _ this certificate entitles you to _ love _ date _ signature _ . Description: White background with a pink frame and a heart formed out of pink petals. Add your own photo and customize the text. You can change any/all of the text. 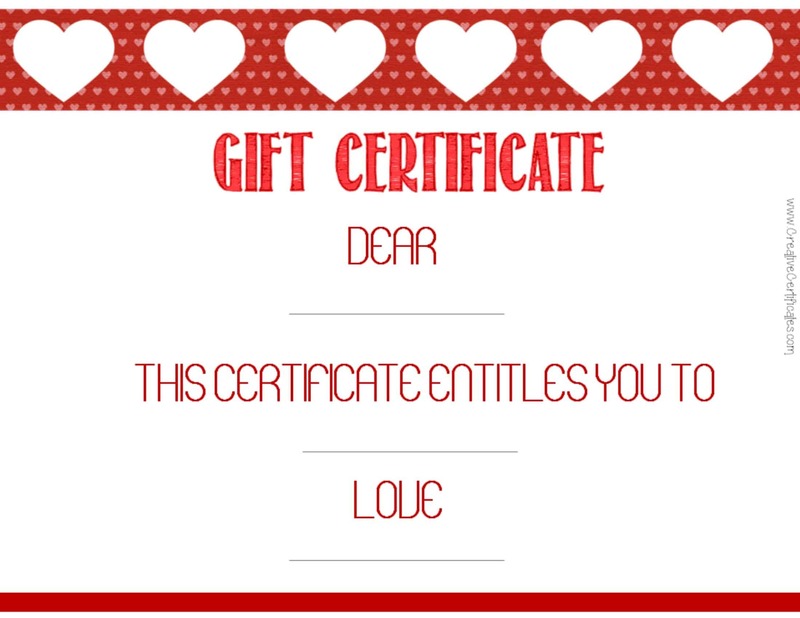 Wording: Gift Certificate – Dear _ this certificate entitles you to _ love _ . Description: White border with a red frame and a red ribbon with pink hearts and bigger hearts cut out of the ribbon. 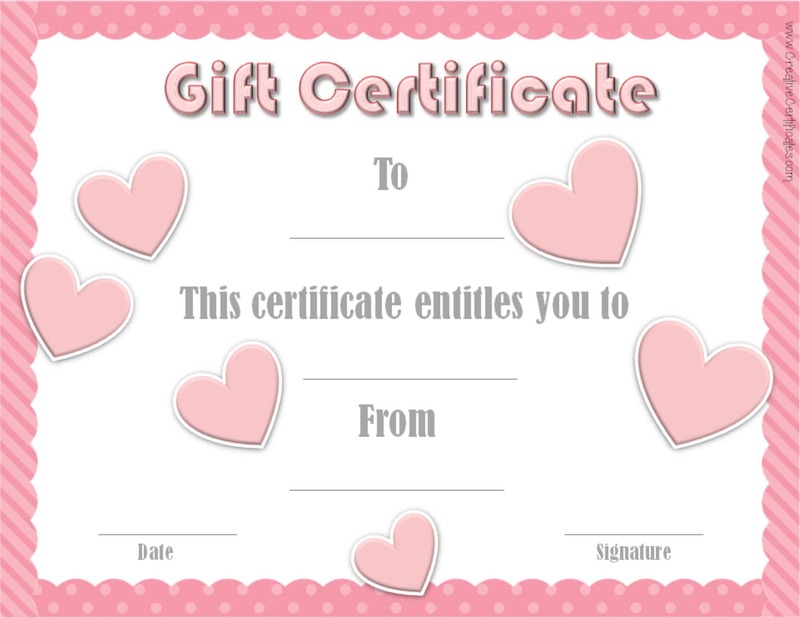 Wording: Gift Certificate – To _ This certificate entitles you to _ from _ date _ signature _ . Description: White background with a pink ribbon frame and pink hearts scattered around the certificate. Three gift certificates on one page. 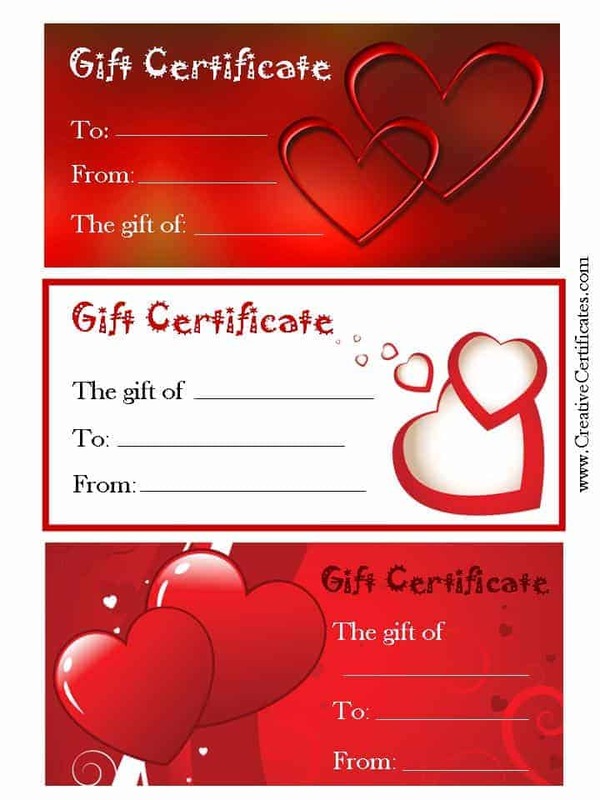 If you find yourself without a Valentine’s Day gift then just print a gift certificate and fill in any gift. Your Valentine won’t even know that you forgot. Need ideas for Valentine’s Day gifts? Here are a few: a backrub, dinner at the restaurant of your choice, the remote control is yours for the next week/year, breakfast in bed, etc.